Posted August 11th, 2012 by alexa & filed under Portraits. 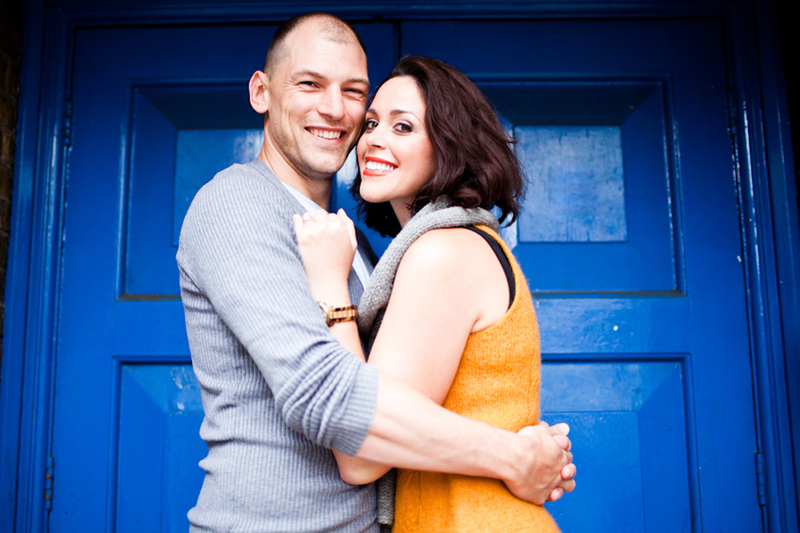 Hoxton is the most fantastic area to do London portrait photography, with so many interesting backdrops. 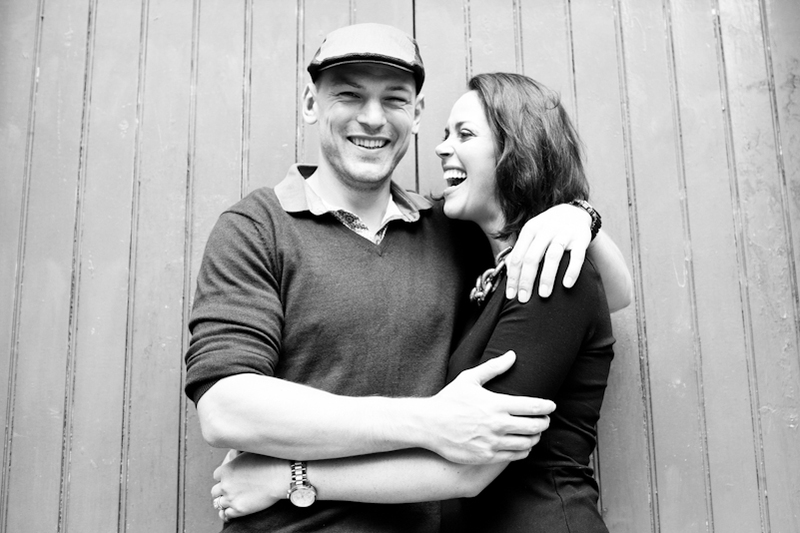 Mel and Ash were great fun too so it turned out to be the perfect day! As a photographer who is completely in love with London I feel incredibly lucky that my job takes me all over this amazing city I live in. 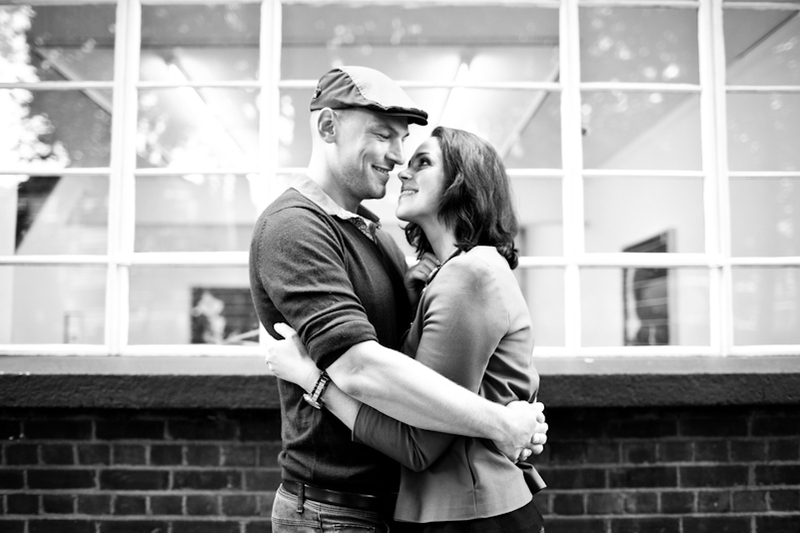 I’m a photographer of weddings, engagements, families, businesses and musicians in every corner of London. I never cease to be amazed at the number of different, fascinating backgrounds to be found everywhere. 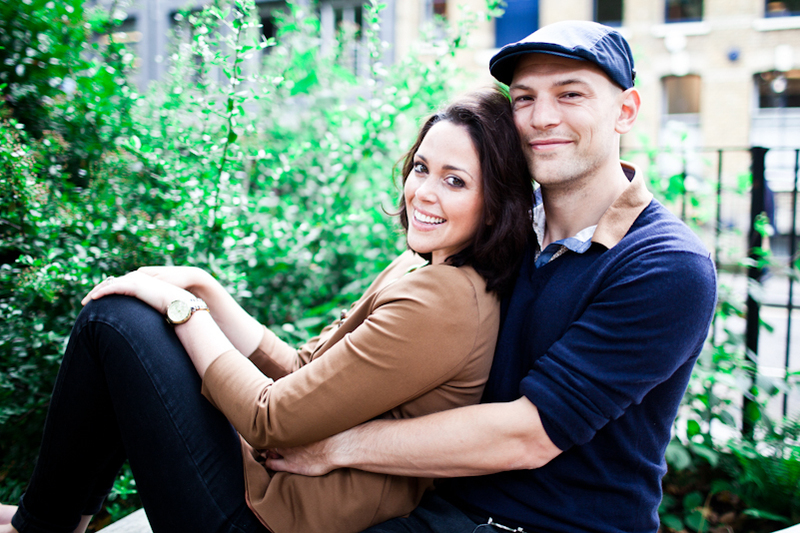 I really enjoy doing photo sessions in all of the London Parks and I also love more urban shoots. 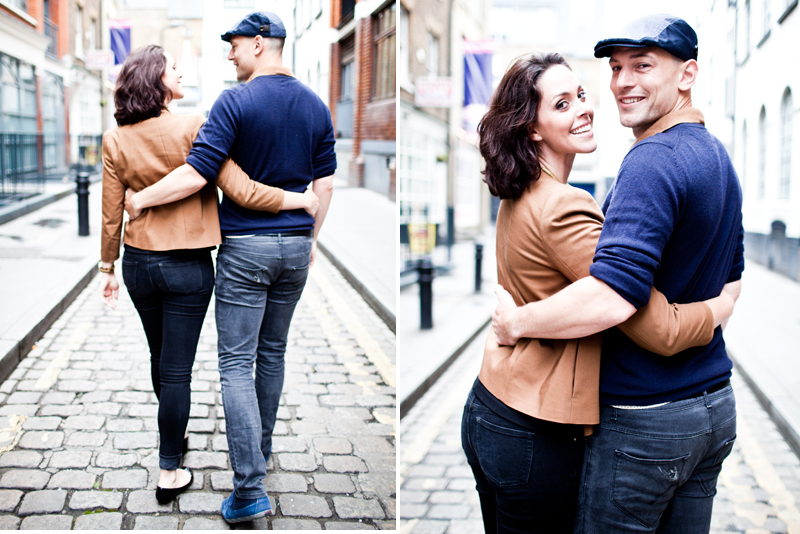 This couples photography session took place in Hoxton and I was overjoyed with how many different backgrounds we could find within a short walk of each other. 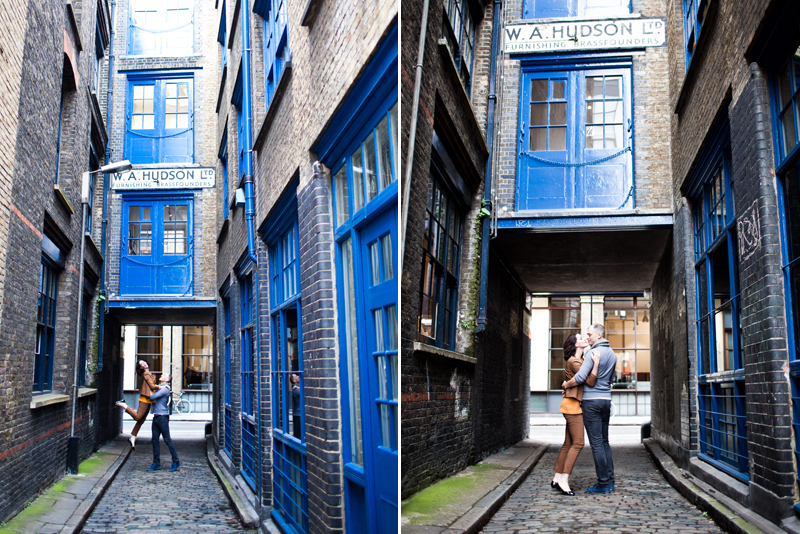 In one alleyway the bright blue doors looked fantastic as a backdrop to Mel and Ash. 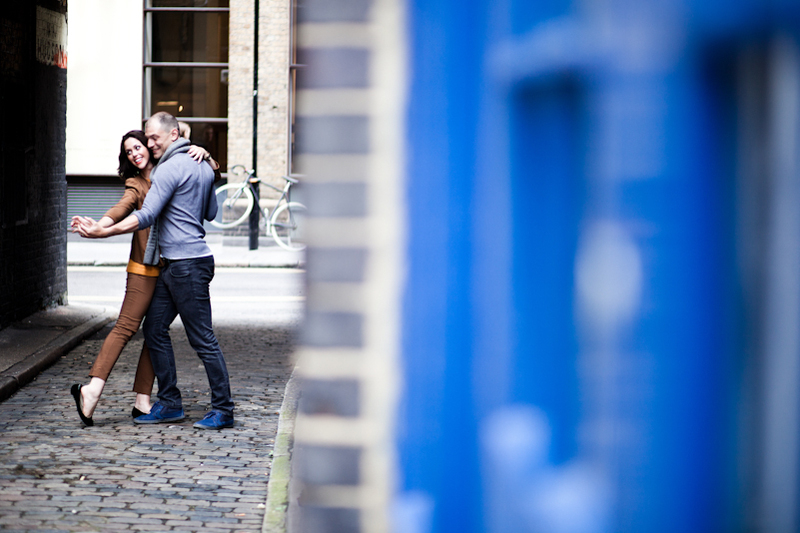 I particularly love the images where they are dancing in the cobbled street surrounded by blue doors and windows. I was also really happy to find a wall completely covered with graffiti. Mel and Ash looked pretty pleased too when they jumped for joy! 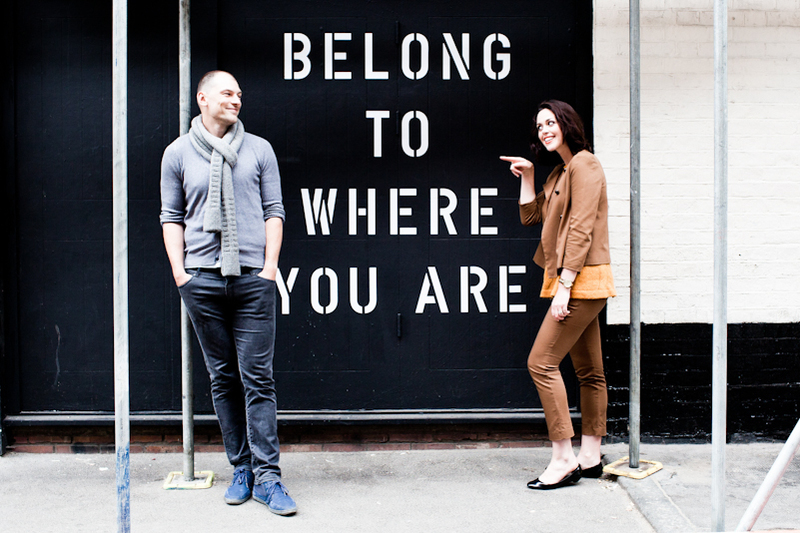 As for the scaffolding with the “Belong To Where You Are” sign behind them – well that was just a photographers dream! 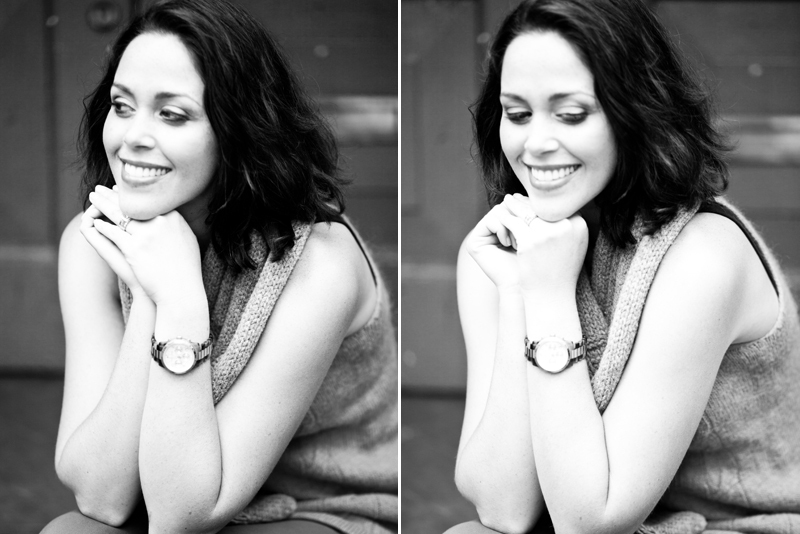 If you’d like some London portrait photographs taken please do get in touch. We can explore different areas of this amazing city with all it’s wonderful backgrounds. WOW! This is fabulous work Alexa. 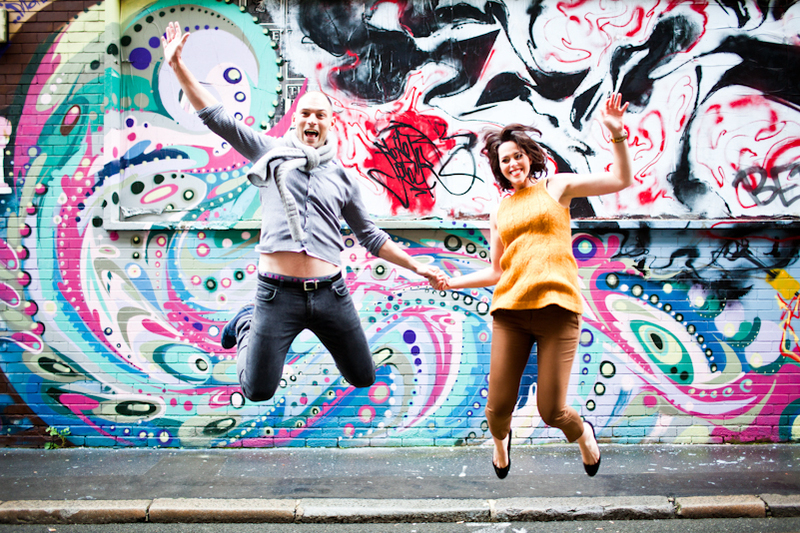 A really fun shoot – love it!